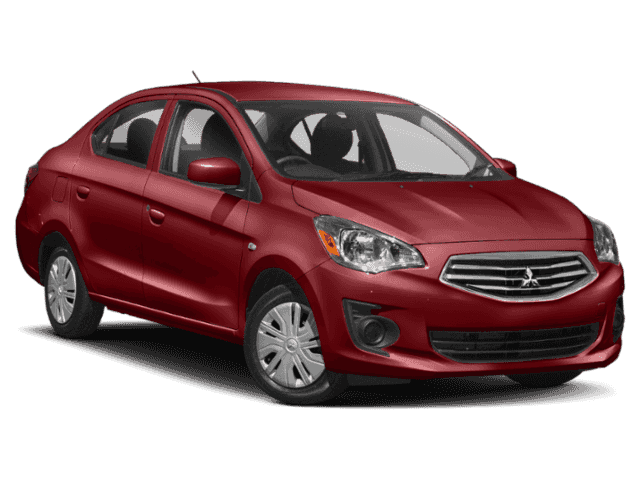 Delivering up to a remarkable 43-mpg highway (39-mpg combined), the 2019 Mirage gives you class-leading fuel efficiency without the exorbitant cost of hybrid technology. The compact Mirage is nimble for around-town practicality, but also offers comfortable seating for up to five adults. And with available features such as FAST-Key passive entry with push button start, Smartphone Link Display Audio, and automatic climate control, it's surprisingly well appointed. Factor in the 10-year/100,000-mile Powertrain Limited Warranty and it's clear that this Mirage is one of the best-value vehicles on the market. The standard rearview camera helps let you view the area directly behind your vehicle on the audio display screen, so you won't back into any surprises. And, to help you concentrate on the road ahead, the standard Bluetooth(R) wireless technology allows you to play music from your Bluetooth-enabled phone and most audio-streaming devices. Mirage's standard LED taillights not only look sharp, they also light up faster, are more visible both day and night, and they last longer than their conventional counterparts. And, sure, the standard rear spoiler looks cool, but it also genuinely enhances aerodynamic performance by reducing air turbulence behind the vehicle. 5 YEARS OR 60,000 MILES BUMPER TO BUMPER.. THE BEST IN THE BUSINESS!!!!!!!!!!!! ALL PRICING AND DETAILS OF VEHICLES ARE BELIEVED TO BE ACCURATE, HOWEVER WE DO NOT GUARANTEE SUCH ACCURACY. All advertised prices exclude government fees and taxes, any finance charges, any dealer document preparation charge, and any emission testing charge. INCLUDES ALL REBATES AND DEALER INCENTIVES. The price for listed vehicles as equipped does not include charges such as: License, Title, Registration Fees, State or Local Taxes, Dealer Prep (which fees represent cost and profits for items such as cleaning, inspecting, adjusting vehicles and preparing documents related to the sale, plus any dealer installed accessories), Dealer Freight, Credit Investigation, Optional Credit Insurance, Physical Damage of Liability Insurance, Or Delivery Fees. DEALER makes no representations, expressed or implied, to any actual or prospective purchaser or owner of this vehicle as to the existence, ownership, accuracy, description or condition of the listed vehicle's equipment, accessories, price, specials, or any warranties. Any and all differences must be addressed prior to the sale of this vehicle. Your actual mileage will vary depending on how you drive and maintain your vehicle. Will be a Mirage owner for life! I love it! Best bang for the buck!